So a few of us staff members have been talking amongst ourselves, and we've come up with an idea for a new useful tool for both experienced builders and new users alike on the site. 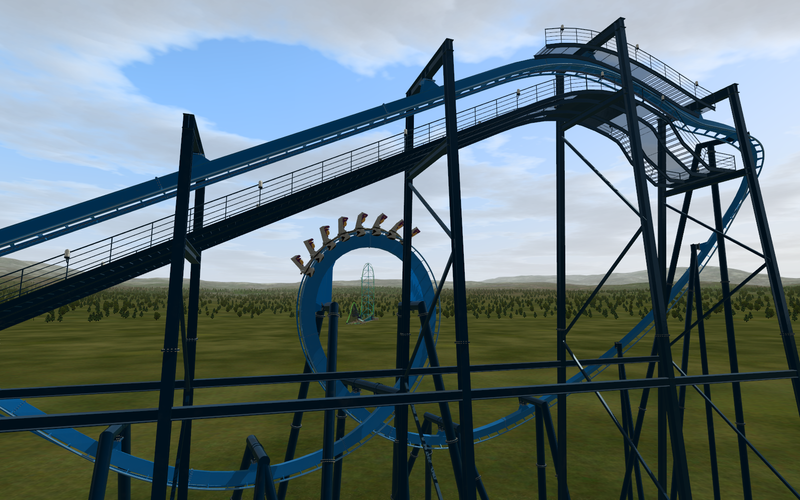 The idea in question is the idea to host NoLimits 2 "seed", 3ds packs, and flat ride files. These files would be small and consist of things such as a generic lift hills based on manufacturer/coaster type or realistic transfer track areas, 3d theming packs, as well as any flat ride that someone has created for use in the community. This thread will catalog any such "seeds", 3d packs, and flat rides, and provide links to where they can be downloaded. But what we need now, is your help as a community. Any contributions are appreciated and are sure to help out new designers (we've ALL been there). To contribute the the database, simply post a link to your file along with a brief description (for labeling purposes of course) and it should be cataloged and added to the list within a day or so. We're hoping we can work together as a community to help better this site as a resource for NoLimits designers of all types. Thank you all, it's truly appreciated. Recreation of the Batman clones, free for all to use in their own parks, credit MUST be given for this track if it is used in a park that is released. Made by TallonD83, with input from Dapalm, Blase Rhine, and support and track shaping help from Blase Rhine. Enjoy! This is essentially a "starter kit" for a Nitro recreation. It includes accurate colors, accurate car textures, accurate station music, and the station, transfer, and storage tracks. Feel free to use it (or any part of it) as the starting point for your Nitro recreation! Please give credit for use of the car textures (those purple highlights were a PAIN to get right! ), for anything else it's not necessary. This is more of an "add on" pack for No Limits 2. The file contains several different kinds of benches for any park, a trashcan, a concrete ground texture, as well as the entrance sign for TallonD93's Batman: The Ride. Directions: Download the file and extract the package. Then use anything in the package for your amazing creations! *If you use any of the models, All I ask is you give me credit for the benches, trashcan, ground texture, and the Batman sign. 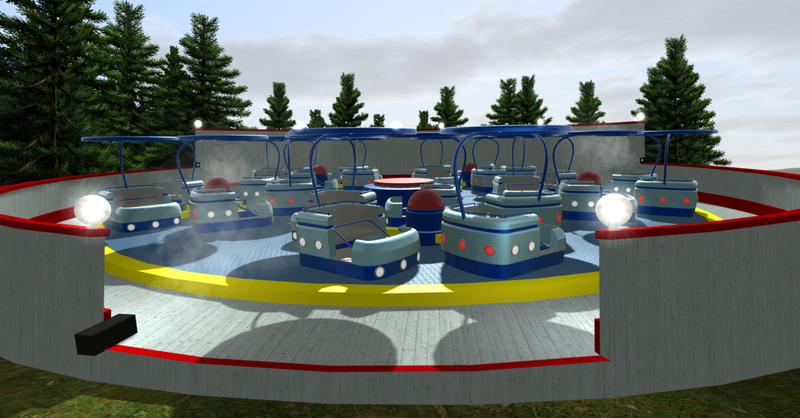 The Sky-Wheel Triple Ferris Wheel comes with the ride itself as well as smaller assets to add to it, like a fence, platform planters, and a text object. I think the most interesting aspect of it is an object that I created a text object where you name the object in the Editor and upon loading the Simulator, a script will calculate what letters to display in Play Mode. A Mondial Windseeker (primarily based on the ones at Canada's Wonderland, Carowinds, Cedar Point and Kings Island) for you guys to use as a background object/flat ride in your parks. Thanks to Magu78 for letting me use his seat model in this. The ride has now been updated to be both ride-able and re-colourable. 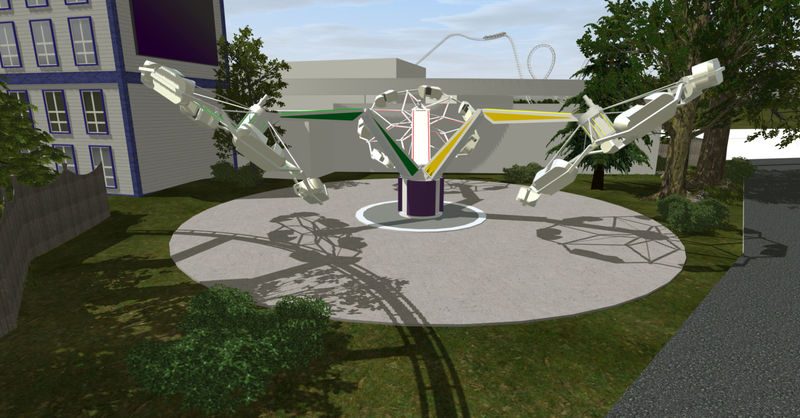 An S&S Screaming Swing for you guys to use as a background object/flat ride in your parks. And change the 1 value to a 0. This ride is ride-able, recolourable and the height can be set to what ever you want. private static final float maxHeight = 100.0f; // Height of Drop Tower (In Meters). 300 meters maximum. 50 meters minimum. and change the 100.0f value to the height you want the drop tower to be (must be in meters). For example, if I wanted a tower 130 meters tall, I would put 130.0f in place of the 100.0f. and change the "Intamin Sky Jump" to the name of your choice. For example, if I wanted a tower to be called Falcon's Fury, I would put "Falcons Fury" in place of the "Intamin Sky Jump". A recreation of the Drop of Doom rides found on Superman at SFMM and Kingda Ka at SFGAdv that you can use in your parks to spruce them up a bit. private static final float maxHeight = 50.0f; // Height of Drop Tower (In Meters). 200 meters maximum. 50 meters minimum otherwise script crashes. and change the 50.0f value to the height you want the drop tower to be (must be in meters). For example, if I wanted a tower 130 meters tall, I would put 130.0f in place of the 50.0f. The ride features an automated flashing on ride camera, working restraints and is ride-able. Thanks to Magu for allowing me to use his seat model. Here's a recreation of a Pinfari Mini Mighty MM29 that JAMMYD778 made a while back. Made mainly just for a filler type ride you can plonk down anywhere, one of the smoothest Pinfari's (and he's sure you'll agree). He's not asking for credit if you use it (but it would be nice). 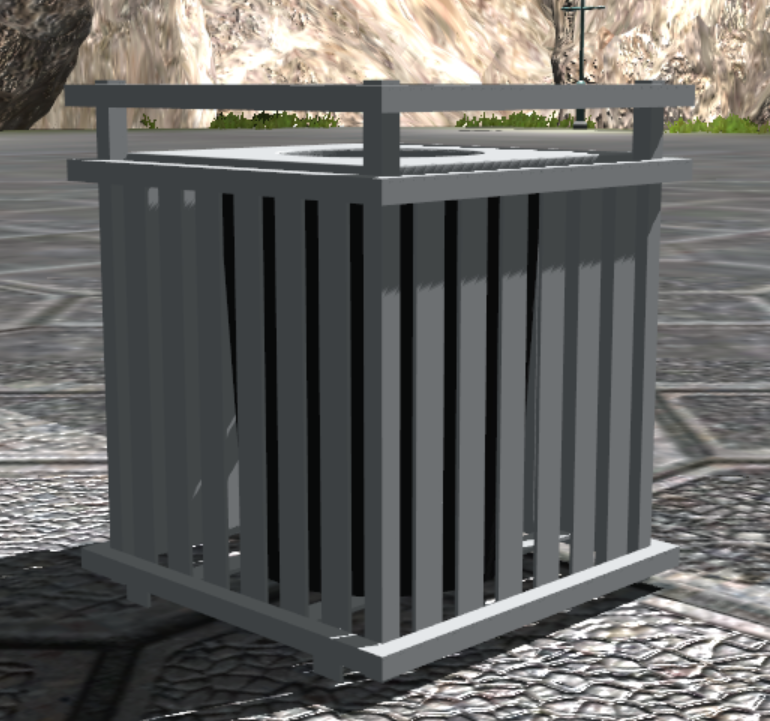 A simple chain link fence with various heights, lengths and angles for use in your parks. Simple steel handrails for use in your parks. Kyle has graciously created and shared a modular scenery pack which he intends to keep updating. To use this scenery, simply turn on snap to meter distances and make sure to check the box in the editor! among others all beautifully rendered along with the corresponding materials files. This is BT Paths v2. without having to jump back and forth between NoLimits and 3rd party 3D software. It's also easier and it makes more sense for larger projects - like parks. You move things around and see the effects directly, and you can do it all simultaneously as terrain and scenery. and it really did turn out more complex than he first thought. he really hopes people find use for it! [li]With NoLimits, browse for scenery objects using the "Choose" button. MrCrolly's Rock Set itself has many varieties. From Casual Stones, to Cobblestone walls, to Cliffside Construction all bundled together in a neat package. The set is also VERY well optimized, each rock with 3 LOD's going from 1500 to around 70 poly's. he really hopes you guys enjoy this set! There are some slight problems with the Cobblestone walls, the corner of one side is blurred as well as there are some color differences that can ruin the seamless effect. Simply fix these problems by flipping the wall around. Will be fixed when MrCrolly has the time. 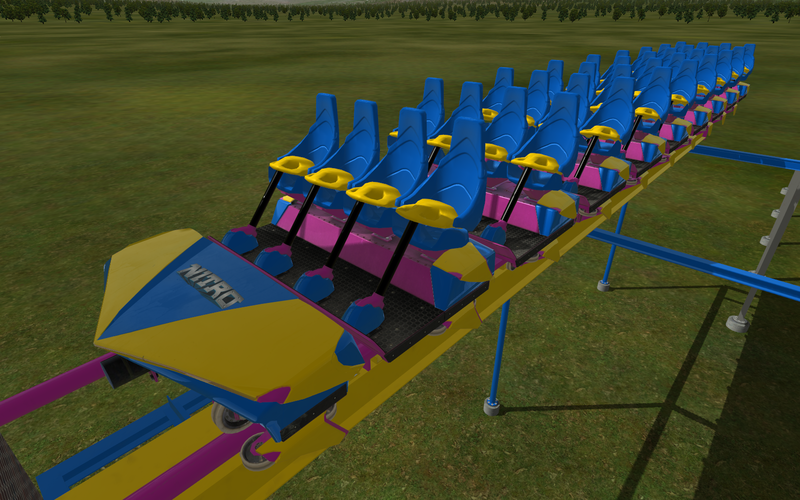 Jonny Has made a beautiful custom train model for use with NoLimits 2 and has graciously agreed to share it with the site as it was "Something [he] thought NL2 needed"
You can change the color of the train using the Color.nl2mat material. The setup in this park file should show how to create the look of the track/station for the custom train. Here are the SketchUp files for the cars, if anyone wants to add theming and/or textures to the train (a lot of Gerstlauer Family Coasters are customized). Just export to .dae (does not require pro), directly into your park base (.3ds does not retain the smoothness of the curves). iSatnav and Bestdani have combined to create this awesome Zierer Star Shape flat ride! 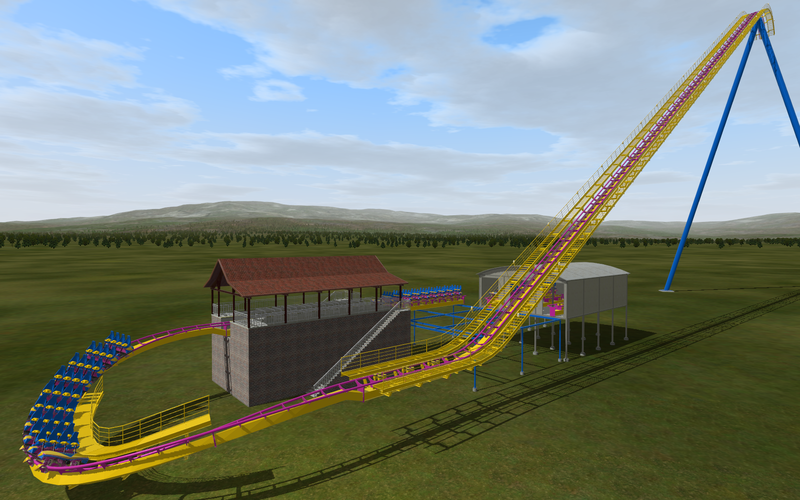 A simple Wild Mouse coaster. The track layout is a recreation of the standard Mack Wild Mouse model, but the supports are an original design since the more accurate lattice supports caused insurmountable clearance issues. It also has a new heavily optimized dispatch pattern, two cars are loaded and dispatched together, the second one waiting at a new block at the bottom of the lift. This results in smooth 8-car operation with an excellent capacity of 960 PPH. It was made to be the Dark Knight coaster in my Great Adventure recreation, the only difference in this standalone release is the new color scheme. Anyone is free to use this coaster in their park with credit given. "Pack of 4 recolorable ferris wheels made by me. Any 3d file, flatride, script, cartexture, seed, etc. you're currently working on and need help with or advice will be hosted under this subsection. If you edit any works posted in this section, we ask that you give the original creator of the file credit (as you would simply be the editor of said file). In Tallon's words: "Lets get some modelers/scripters in here to sound off on what everyone is working on! No reason everyone needs to work on different versions of the same thing!" To start this section off, TallonD83 has graciously offered up a library of content including his BMTR recreation, all the cartexture templates he's made, as well as some unfinished flatrides as .skp files that are semi ready if you have sketchup and know how to script. OH MY GOD YES! This would be awesome! I may have a few track files in whole to submit soon! Whilst you have mentioned flat rides - does this extend to any other generic 3DS files? For instance I've made a chainlink fence for RCT3rox's Livewire which might be of use to people looking for some simple security fences? I think this could be a repository for anything that creators feel like giving to the community. I would love to model some different "packs" of scenery (For example: maybe a chain link pack, bench pack, and maybe even theme packs such as Sci Fi) for people to enjoy as well as some standard tracks for the community to use! Feel free to let me know details and I'll get to work right away. I can provide my chain link fence from Jamp Up Land and my 1,600 foot tall B&M coaster lift and drop. Recreation of the Batman clones, free for all to use in their own parks, I just ask that credit is given for this track is used in a park that is released. Made by TallonD83, with imput from Dapalm, BlaseRhine, and support and track shaping help from BlaseRhine. Enjoy! Cool! I'm also working on a standard log flume ride (should be done by next month, though I may need some help with scripting it) and also working on something with TallonD83. Nice scenery Blase! This sounds like a great idea! Hmm, maybe I can also make a clonable custom roller coaster to contribute to this collection. I'm not sure whether it helps or not, but I have my Triple Ferris Wheel ride, it comes with the ride itself as well as smaller assets to add to it, like a fence, platform planters, and a text object. I think the most interesting aspect of it is an object that I created a text object where you name the object in the Editor and upon loading the Simulator, a script will calculate what letters to display in Play Mode. If you have any suggestions for the pack I can update it. Hope this helps out. I really like the idea of having a library of assets that people can use to build parks. I'm also working on Fiddler's Fling (Calypso), and Triple Play(Troika). ^ I added your Drop of Doom as well to the list. That's your Batman and my Ka in the same park. Their relative positions are accurate. I've checked, and all of Six Flags Great Adventure will just barely fit in NL2's workspace. Collaborative park recreation, anyone? I have made a rock set. Should I post the download link? This was a great idea and was really hoping for this. I have been wanting to complete this Hyper with more scenery such as Rocks, and especially some chain link fencing around the station. That's my newest update of my rockset! Put all the files in you park map! And enjoy! Thanks that you like it! Nitro starter kit is updated. Textures fixed (lead car was missing a magenta highlight). Height of station/transfer/storage set accurately. Pre-lift turnaround, lift feeders, and lift in place. Feeder height and lift speed set accurately. The pre-lift turnaround and the top of the lift may need more shaping work, and the pre-lift turnaround will definitely need a custom catwalk. Please note that the two large lift supports in place define the location of the lift's highest point, which must be halfway between their footers and of course 230ft high. It also includes an overlay, everything built so far is positioned using it as a guide. Keep in mind that it will only be accurate for footers and track that's very low to the ground. As always, anyone is free to build on this for their own recreation.